Prerequisites: We recommend that students have about a year of experience on their instrument before joining this class. Please contact info@creativemusicadventures.com with any questions. This has been a highly successful band class in it's 7th year running. Students will meet daily for a 90 minute session. 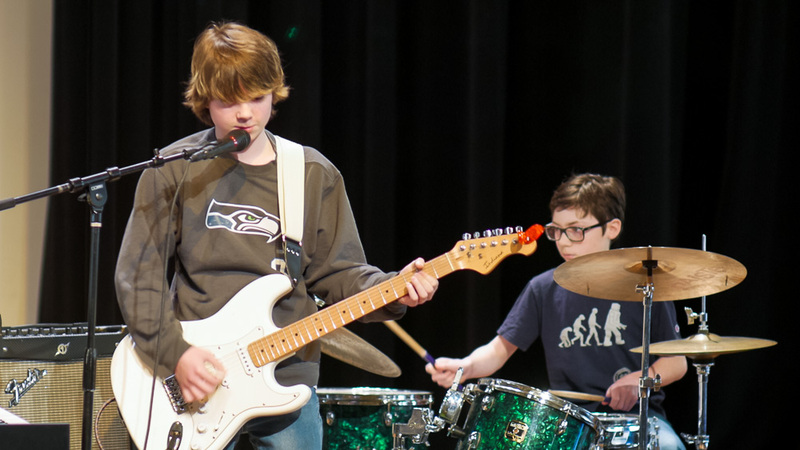 Class sessions will focus on learning various popular rock and pop songs, in various styles, as well as learning important aspects of playing and rehearsing as a group. Repeats every week every Monday and every Tuesday and every Wednesday and every Thursday and every Friday 5 times.